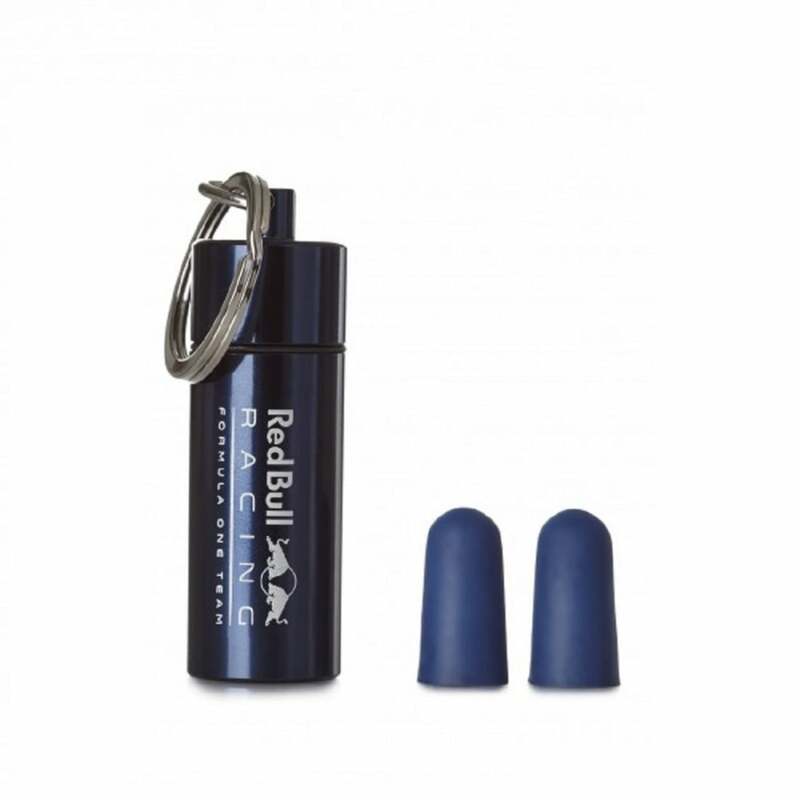 Red Bull Racing Keyring containing earplugs. Printed logo graphic on casing with screw cap and keyring loop fastener. Insignia blue coloured earplugs inside.